I have signed a publishing contract with WolfSinger Publication out of Colorado for my Sci-Fi trilogy, Project W.Olf. It's all about genetic engineering. Oh, my. The changes it brings to one's life to have a nose as acute as wolf's. It might not be advantageous enough, however, to save Peter from the criminal gang...or help him capture the heart of sweet little Marie. Second Edition of FATAL ERROR Book 2 in my BackTracker series. Grief, guilt, blame and betrayal. One fatal error and a young man dies. Someone must shoulder the blame. Updated content and great new cover! New material, revisions, and spanking new cover--Same great story. A biker gang, an undercover cop, and a thirteen-year old girl. A murder on the great Canadian prairie. 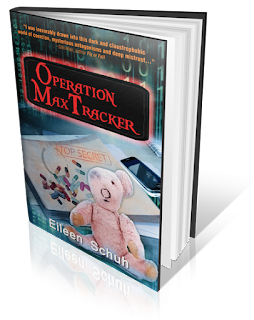 ST. PAUL, AB, October 31, 2016 /24-7PressRelease/ -- Unsettling questions about the roles organized crime, governments, and law enforcement covertly play in controlling the internet are raised in Eileen Schuh's new thriller, OPERATION MAXTRACKER. This fourth book in her ongoing BackTracker series is a fast-flowing follow-up to FIREWALLS, and continues the saga of young Katrina Buckhold's fight against The Traz biker gang. With uncanny references to actual news headlines, Schuh creates in readers a quiver of anticipation and dread, leaving them to wonder who controls the Web (in both the story and reality) and for what purposes? Also unsettling, is the incredible power wielded in secret by those trying to keep cyberspace and the nation safe. Well known for her past portrayals of psychological drama, Schuh takes OPERATION MAXTRACKER to a new level as danger, cunning and espionage spill out of the virtual world into real life. Schuh is also known for her surprising and satisfying endings and OPERATION MAXTRACKER definitely delivers on that count. Sergeant Kindle is counting on his top secret Operation MaxTracker team to thwart a surging attempt by criminal gangs to hijack cyberspace and take control of the world. The tremendous power of the defensive system the team is creating and the potential for its abuse, has computer guru, Katrina Buckhold, on edge. Shrug, Head of Project Security, is supposedly keeping everyone and everything safe, but based on her past experiences with him, she's not confident he's up to that task. Katrina's toughest battles, though, are not against those threatening cyberspace but against those who are concerned about her ability to raise her children, and Shrug's not helping with that, either. Then unspeakable tragedy strikes, stripping all friendships to the core and laying bare the stunning truths behind the secrets, fears and mistrust. "I was inexorably drawn into this dark and claustrophobic world of coercion, mysterious antagonisms and deep mistrust." ~Gilli Allan, award-winning author of "Fly or Fall"
The novel includes Book Club discussion questions that explore the social, legal, and ethical issues touched on in the novel. For those who can't get enough of the BackTracker characters, Schuh advises that Sergeant Kindle's law enforcement team plays a major role in her other recent thriller, SHADOW RIDERS. In addition to the four novels in her ongoing BackTracker series, The Traz, Fatal Error, Firewalls and Operation MaxTracker (The Traz also comes in a school edition), Eileen Schuh is the author of the adult thriller, Shadow Riders and two adult SciFi novellas (Schrodinger's Cat and Dispassionate Lies). 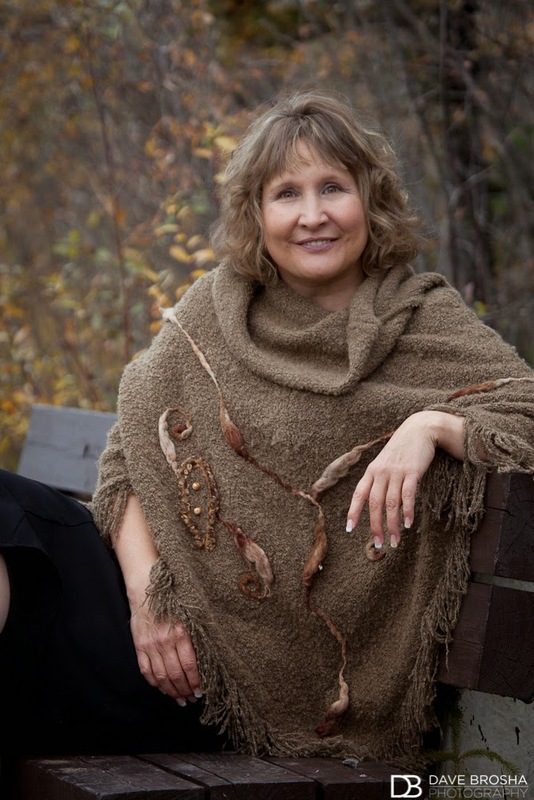 Born Eileen Fairbrother in Tofield, Alberta, Schuh now lives with her husband in the boreal forest near St. Paul in north eastern Alberta, Canada. Allison Montgomery is wrapping up a career as a successful entrepreneur when she’s brutally kidnapped and whisked to South Korea. To ensure her survival, she gradually forges a bond with Carbon, her smooth-talking but abusive captor, a bond that over time proves incredibly strong. A criminal record, death threats, counselling—nothing can convince Allie to betray her illicit lover. eBook and paperback. Order now! Cops vs bikers on the Canadian prairie...Oh, and throw in a 13-year old girl. Her testimony as a child brought down the gang. Putting her quest on hold, she joins Paul’s project where her uncertainties are quickly overshadowed by the explosive technology and high-tech challenges of her job. Then, she receives her final assignment. She can either expose her mind to the potentially lethal quantum computer for the sake of the world or be forever a watched woman. "Dispassionate lies is a brilliant lyrically gifted work that will keep you on edge from beginning to end." "it will surprise, titillate and fascinate you"
"a beautifully written novel with complex themes"
"A story of intrigue, love, and lust"
"The twist at the end brought a smile to my face..."
"a woman coming of age in a most satisfying way"
"a satisfying and surprising ending"
Imprisoned by dark thoughts and dangerous behaviours, it’s not until her career is in shambles that she realizes that neither her war against crime nor her struggle with Post Traumatic Stress are battles she can win alone. However, the walls she’s built to protect her heart frompain and betrayal, don’t tumble easily.